Declared the underground Catholic Church illegal? This Church is not registered with the Chinese government. Created a Church under the control of Chinese Catholic Patriotic Association in 1957 in an attempt to replace the Roman Catholic Church in China? Transferred almost all the properties of the Roman Catholic Church in China to the Communist founded Patriotic Association Church, leaving the "illegal" but loyal-to-Pope underground Catholic Church in poverty? A) CCPA Is Not Recognized by the Pope? The Patriotic Association does not recognize the supreme authority of the Pope and therefore is not in communion with the Pope and the Universal Church. Pope John Paul II had said in Manila in January, 1995: "A Catholic who wishes to remain such and to be recognized as such cannot reject the principle of communion with the successor of Peter.". The Patriotic Association, although calling itself Catholic, is not Catholic because it is not in communion with the Pope, the successor of Peter. The Canon Law section 751 states: "...schism is the refusal of submission to the Roman Pontiff..." Inasmuch as the Patriotic Association refuses to submit to the authority of the Pope, it is de-facto in schism, although the Vatican has not declared it. None of the Vicars of Christ for the last 60 years has ever recognized the Chinese Catholic Patriotic Association as a part of the Roman Catholic Universal Church..
Pope Benedict XVI said in May 2007: "the proposal for a Church (apparently referring to the Chinese Catholic Patriotic Association) that is "independent" of the Holy See, in the religious sphere, is incompatible with Catholic doctrine.". B) CCPA Has Many Illicit Episcopal Ordinations? The Patriotic Association has appointed and ordained scores of bishops without the permission of the Holy Father -- in other words, without a papal mandate. Most of them have subsequently asked privately to be received into communion with the Pope? Pope Benedict XVI has granted these bishops the full and legitimate exercise of Episcopal jurisdiction. Unfortunately, many of these legitimized bishops have failed to provide any clear signs to prove that they have been legitimized. On this subject, the Canon Law Section 1382 states: "a bishop who consecrates someone a bishop and the person who receives such a consecration from a bishop without a pontifical mandate incur an automatic "latae sententiae" excommunication reserved to the Apostolic See." A number of bishops in the Patriotic Association's Official Church have been excommunicated ipso facto by the Pope, because they were illicitly ordained without a Papal Mandate. C) CCPA revoked the Episcopal Title and the Duties of a Vatican-appointed bishop? 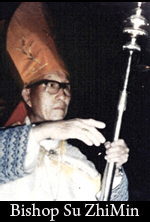 Father Ma Daqin was ordained Auxiliary Bishop of Shanghai with the Pope's mandate. Immediately after his ordination, he announced that he would resign from all his functions in the Patriotic Association. Because of his resignation from the Patriotic Association, which is unprecedented, Bishop Ma was immediately put in house arrest. His Episcopal title and office of the "Auxiliary Bishop of Shanghai" was immediately revoked by the Chinese Government. He was also forbidden to wear any Episcopal insignia, such as his pectoral cross, ring, biretta, etc. All these revocations, forfeitures, restrictions, and his house arrest came under the orders of the Chinese Communist authorities. D) CCPA Seminarians, Priests, and Nuns Are Studying in the United States or elsewhere in Europe under the Sponsorship of Various U.S. Dioceses or Religious Orders? There are approximately fifty Patriotic Association religious studying in various U. S. seminaries and Catholic universities under the sponsorship of Maryknoll or Catholic dioceses or seminaries granting them full tuition, room, and board scholarships. 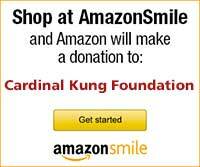 Only recently, Maryknoll has started sponsoring one or two underground religious. A number of Patriotic Association priests have been given full faculties in some Roman Catholic dioceses, especially in those that have China Towns. They are authorized to administer all Holy Sacraments to the public. Under no circumstance can a Roman Catholic accept just any other church as a substitute without abandoning his Faith as a Roman Catholic? Roman Catholics in China, therefore, cannot keep their Faith and at the same time follow their government's instruction to join the Patriotic Association, which rejects the Pope's supreme authority, even at the risk of persecution. By remaining obedient to the Pope and by not registering with the Chinese Government, the Roman Catholic Church is outlawed in China and is known as the underground Church, also known as the loyal Church or clandestine Church. The Chinese government calls the Underground church an "unofficial" Church (i.e. unofficial to the Chinese Government) while the Patriotic Association sanctioned Church is called an "official" (i.e. official to the Chinese Government) or "open" Church. Pope John Paul II said in July, 1991: "With what prayerful longing and love do I follow the life of the loyal Chinese Catholic communities"? 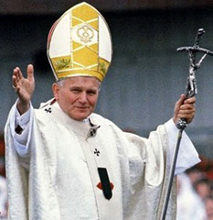 Pope John Paul II had also said in September, 1994: "The great majority of Chinese Catholics, precisely in order to live this fidelity in fullness, have chosen the path of suffering and silence. With deep affection, our hearts turn to these brothers and sisters of ours who suffer great hardship, thankful for their generous and heroic example."? A) The Chinese Communist Authorities Destroyed a Revered Marian Shrine in Hebei, China? Dong Lu was consecrated as the Shrine for Our Lady of China in 1932 by Pope Pius XI. 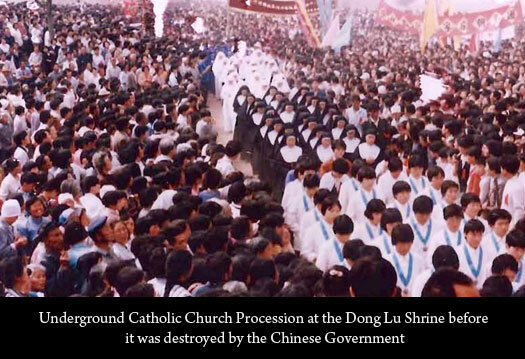 Even though the Chinese government tried to stop the annual pilgrimage to Dong Lu, over 100,000 "illegal" underground Catholics braved the physical abuses, roadblocks, and other restrictions to pray at the shrine in May, 1995. Holy Mother rewarded the pilgrims with a spectacular apparition on May 23, 1995. This miracle, witnessed by over 30,000 pilgrims, was certified by the Bishop of Baoding. Dong Lu is the home to forty of the 120 martyr saints canonized by Pope John Paul II in October 1, 2000. In April and May, 1996, the Chinese government mobilized 5000 troops, about thirty armored vehicles, and some helicopters in order to seal off a tiny village called Dong Lu in Hebei province and to destroy a Marian shrine there. The Statue of Holy Mary at the Marian shrine in Dong LU was confiscated. B) Underground Catholic Bishops and Religious Are Still Imprisoned? 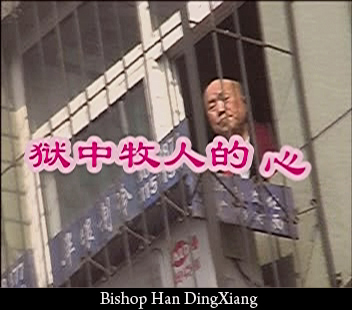 Bishop Gao Kexian, Bishop of Yantai, Shandong, was arrested in October, 1999? We did not know where he was until he died in jail in January 2005? His cause of death is unknown. 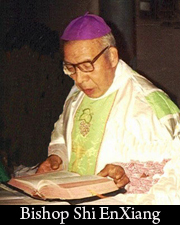 In the Diocese of Baoding where Dong Lu is located, the Bishop of the diocese, Bishop Su Zhimin, was arrested in 1996, escaped, and was rearrested in 1997. There has been no news about this bishop for many years. We do not know his whereabouts or even if he is still alive. 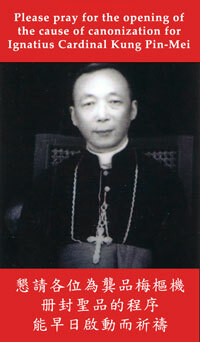 Bishop Shi Enxiang, Bishop of Yixian, Hebei, was arrested on April 13, 2001. He is now approximately ninety years old and has been detained for more than ten years? We do not know his whereabouts or his condition. Bishop Han Dingxiang, Bishop of Yong Nian, Hebei, was arrested in December 1999, and was held in an unknown place for his last two years. He died in 2007 in a very suspicious situation. He was not only denied a Catholic burial, but also was cremated and buried within six hours of his death without any religious ceremony. The Underground Catholic Church in China has been severely persecuted by the Chinese Communist Government. Such persecution is not ancient history. It is on-going. The persecution continues and gets worse at a time when China is given much freedom in business and finance, at a time when China is making significant economic progress, at a time when China is working hard to claim its status as an important member of the international community. 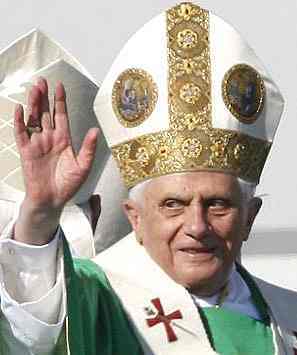 Pope Benedict XVI said in May 2007: "It must not be forgotten that many Bishops have undergone persecution and have been impeded in the exercise of their ministry, and some of them have made the Church fruitful with the shedding of their blood "
Numerous misleading articles have appeared in the media, including diocesan newspapers, about the "Catholic Church in China"? These articles were, in fact, describing the Patriotic Association Church without even mentioning it by name. They very, very seldom report on the Underground Church. When they do, they specifically mention the name of the Underground Church. Many foreign Roman Catholic missionaries returned to China and started various charitable projects at the invitation of and operating under the supervision of the Patriotic Association and the communist government? These missionaries do not work with the Roman Catholic bishops who are still underground, but in full communion with the Pope, nor do they ask for the permission from the Roman Catholic bishops who are still underground to work in the underground dioceses.